This month you could vote for one of the three Middle Grade books you wanted me to read this month. 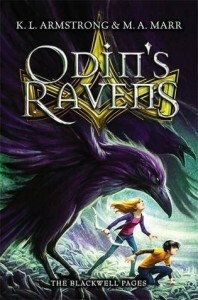 I am happy to announce that I will be reading Odin’s Ravens this month! I can’t remember which one I voted for, but this looks good 🙂 Enjoy! I have a beta read to read first, but after that I am starting this one! Looking forward to reading it! *SQUEE* This is the one I voted for, Lola. So I hope you love it! I can’t wait to see what you think of it. It was a clear winner this time, it had by far the most votes. I am really excited to read it :). It’s always nice when the book you voted for wins. I would certainly recommend this series, I really enjoyed the first book and can’t wait to start on this one! I hope so too :). Trish @ Between My Lines recently posted…My To-Be-Read List : Dec 14 WINNER! Thanks, I hope I’ll enjoy this one as much as the first book! Yay! I believe that was what I picked. ENJOY IT! I love middle grade and if it’s good might have to add that series to my TBR. Michelle@Because Reading recently posted…My To-Be Read List December ~ And the Winner is…. I don’t read a lot of Middle Grade, but I like to read one now and then as they have such a different tone and style then YA, NA or Adult books. I haven’t heard of this series before, Lola, but it sounds really good! I hope you’ll enjoy Odin’s Raven. I’m a huge fan of Norse mythology 🙂 I’m looking forward to your review. I am not a huge mythology fan, mainly the authors were the reason for me picking up this series, but I really liked the mythology aspect. And I find mythology interesting as well :). Chyna @ Lite-Rate-Ture recently posted…Free Blog Design Templates! I really enjoyed the first book, so I hope this one will be just as good. I heard of this series as Kelley Armstrong is one of my favourite authors.